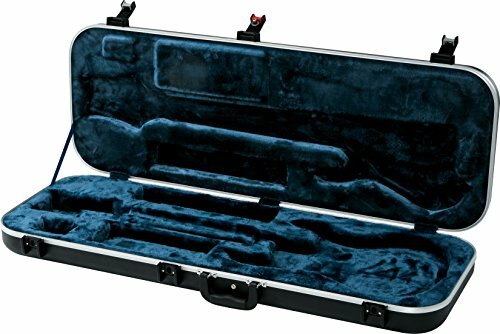 View More In Electric Guitar Bags & Cases. 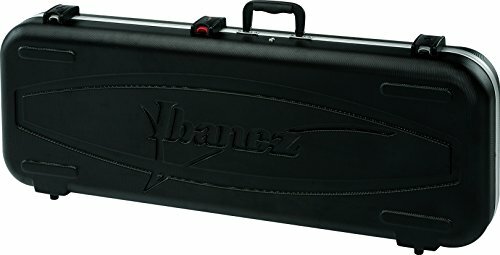 Ibanez guitar cases are ideal for players who want to transport their precious gear safely with road-tough protection, but also require a lighter case. The rugged shell of the M300C protects the guitar from dents, scratches, dust and water. Inside, the M300C features a guitar body mold and neck support to cradle the guitar snugly and securely. The interior storage compartment can accommodate straps, cables, extra strings and other necessities. Finally, for ultimate security, lock the case up while Flying or travelling with its tsa-approved lock. Intended type: electric guitar for RG6, RG7, Rga6, Rga7, Rgd6, S6, S7, SA6 (except left Handed models) handles/straps: 1 x handle pockets: 3 exterior length: 41.93” exterior width: 16.93” exterior height: 5.32” interior total length: 39.38” interior lower bout length: 16.15” interior middle bout length: - interior upper bout length: 9.06” interior lower bout width: 12.6” interior middle bout width: 1.78” interior upper bout width: 4.34” interior lower bout depth: 1.38” interior middle bout depth: 0.4” interior upper bout depth: 1.38” net weight: 10.48lbs.